Rick clutching a 20-sided die. 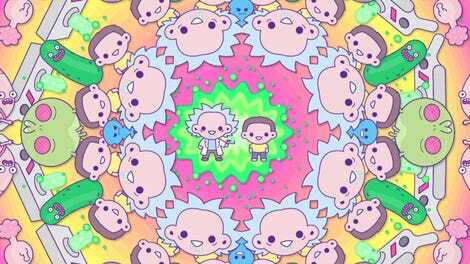 Even though playing games is typically how Rick and Morty end up putting the multiverse in jeopardy, the dimension-hopping duo are about to embark upon the journey of their lives with the help of a tabletop classic. This August, IDW and Oni Press are partnering to publish a four-issue, limited series from writers Patrick Rothfuss and Jim Zub, with illustrations from Troy Little, where Rick and Morty will get sucked into the world of Dungeons & Dragons. Rick and Morty on a quest. 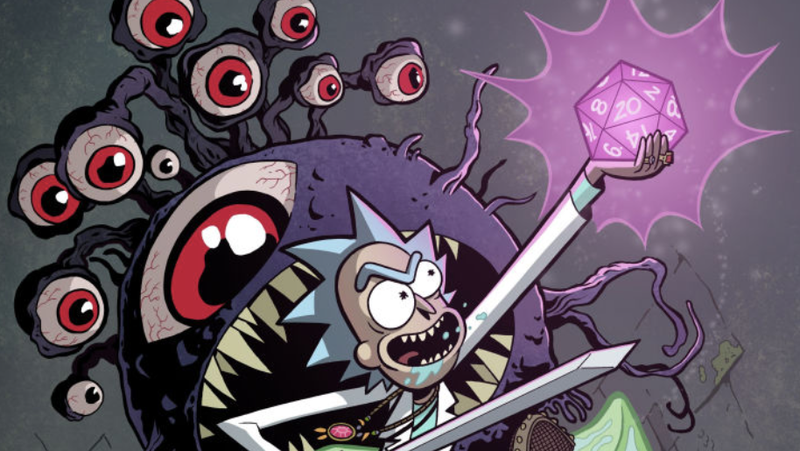 Though the miniseries—which is set to include character sheets—is sure to be all kinds of wild and fun, what’ll be interesting to see is how the creative team uses Rick and Morty’s signature nihilistic energy to pick apart the things about Dungeons & Dragons culture that can get a little weird and uncomfortable. IDW and Oni Press’ crossover series—which doesn’t seem to have a title yet, weirdly—hits stores this August.